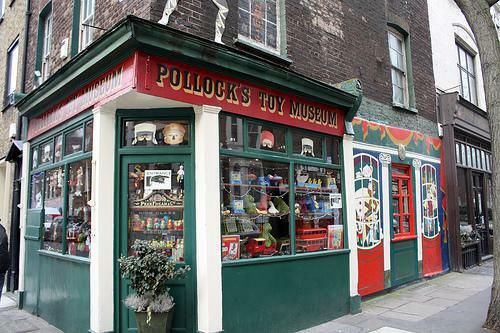 Pollock's Toy Museum is a charming place with a treasure trove of antique toys exhibited in a warren of 6 rooms above the toy shop of the same name. Pollock's Toy Museum is a charming place with a treasure trove of antique toys exhibited in a warren of 6 rooms above the toy shop of the same name. There are wooden and tin toys and dolls. Benjamin Pollock, the leading Victorian toymaker, has some of his work on display as well.